PARIS: U.S. authorities have left unanswered French requests for access to financial information concerning suspects tied to last month’s attacks in Paris, a French Finance Ministry source said. The U.S. Treasury has access to information from Belgian-based international payments company SWIFT for the purpose of tracking the financing of terrorism. Under a 2010 agreement between Washington and the European Union, EU countries rely on the U.S. Treasury to provide terrorism-financing information it has collected from the SWIFT international payments system. 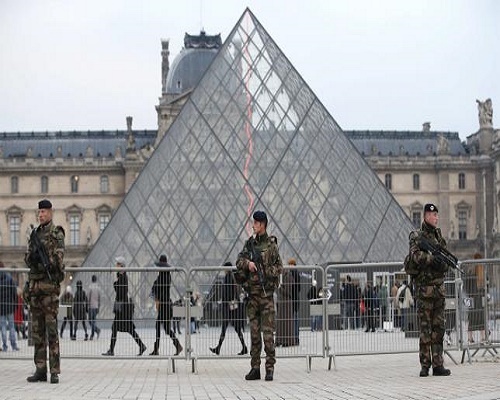 But at least in France’s case the Americans have turned down the requests or, in the case of suspects linked to the Paris attacks, have not answered them, the French Finance Ministry source said. After gunmen killed 17 people in January at the Paris offices of satirical magazine Charlie Hebdo and a Jewish supermarket, U.S. authorities turned down requests from France on the grounds that the French did not provide enough details about the threat from the suspects they were seeking information on, the source said. “I don’t think that they will dare use this argument for the latest request concerning very specific people identified as being behind the (Nov. 13) Paris attacks,” the source said. Investigators need information from messages that accompany transactions made over the SWIFT network in real time and not weeks later if they are to be useful, the source said. French Finance Minister Michel Sapin will press U.S. Treasury Secretary Jack Lew on the issue when they meet on Thursday on the sidelines of a meeting of United Nations Security Council finance ministers in New York, according to the source. In the absence of better cooperation from Washington, Sapin wants European countries to set up a way to obtain information from SWIFT, the source added. “After all, SWIFT is a Belgian company, the servers are mainly in Europe, at least for transactions in Europe,” the source said. The source added that positions on the issues varied among European countries and said that some countries “that are more Anglo-Saxon than us” appeared to have secret agreements with Washington to get easier access to information. “It’s clearly a politically sensitive situation. But at the same time we cannot be satisfied that the information is available to some but not for European countries,” a second finance ministry source said. SWIFT stopped storing some data on its U.S. servers in 2009 after revelations in the U.S. press that the government had gained access to information on its system to track terrorist money flows following the Sept. 11, 2001, attacks. After SWIFT moved key data to its servers in Europe, Washington negotiated the 2010 deal with the EU to access SWIFT’s data there. But that deal was reached only after data protection guarantees where included after the European Parliament rejected an interim agreement over privacy concerns.